Providing you the best range of stainless steel water softeners, automatic frp water softeners, water softening plants, domestic water conditioners and mild steel water softeners with effective & timely delivery. 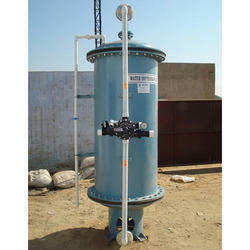 We are the leading manufacturers and suppliers of Stainless Steel Water Softeners. 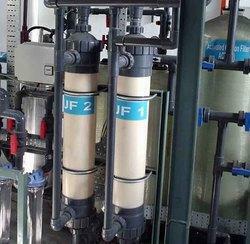 Automatic FRP Water Softeners offered can be made available by us in different finish configurations and provide for superior water softening support as demanded by the customers. 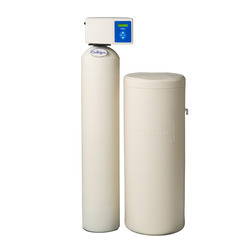 These water softeners are used in industry and civil water softening preparations like of boiler feed water, air conditioning system, power plant, textile sector and others. Some of its features include adopts microcomputer to control time; can be offered in single tank/double tank/one running and the other alternation type configuration options; provides for consistent working support. 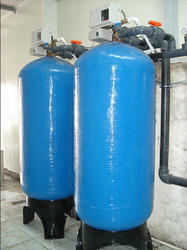 We are the Leading manufacturers and suppliers of Water Softening Plants. Domestic Water Conditioners provide superior water purification support by effectively removing dissolved chemicals, particulates, dissolved solids, turbidity and radium from water and improving its taste, colour and odour properties. Mild Steel Water Softeners offered come developed using latest technology support and perfectly support the demands of removing hardness from water and making it suitable for utility purposes. 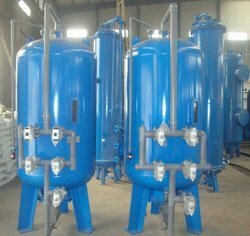 Further, these water softening plants remove concentration of contaminants present in water like hardness salts and added dissolved impurities. Some of its features include offered softener solutions developed to match up with the norms set as per defined industry standards; high performance and longer working life; suitable for use in areas like make-up water for boilers, classroom labs, cooling towers, drinking water and others. Looking for Water Softening Plants ?